Be ready for all potential emergencies at home, in the car, outdoors or on the water. 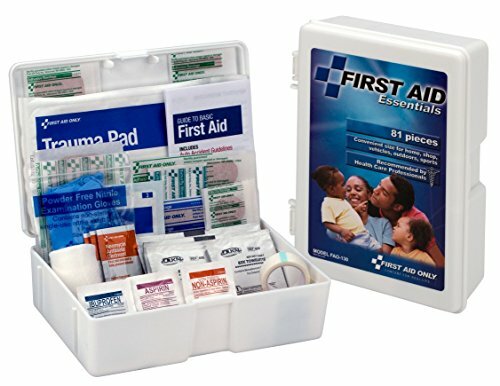 First Aid Only, offers this 81pc. all-purpose hard plastic first aid kit, developed to save time and frustration in the midst of emergency situations. Kit includes: first aid guide, vinyl gloves, bandages, gauze roll, trauma pad, antiseptics and all three common OTC pain medications. Johnson and Johnson Professional Tape, 2.5 Yard -- 12 per case.